As a business owner you rely on data, metrics and measurement in almost every area of your business – Planning, finance, marketing, production, etc. – experience has proven that we make the best decisions when we base them on objective information. In most businesses, people are our single biggest expense category (payroll, benefits, etc.). If we are investing so much in people, shouldn’t we optimize this? And research shows that statistically 75% of our “Greatest Challenges” are people challenges. Yet when it comes to our managing people most companies don’t have a clear picture – they don’t have the data! We can help! We use objective data driven solutions to develop employee and team potential – Your People. Using the LifeThrive process we have proven solutions for maximizing employee productivity, improving individual and team performance and impacting corporate profitability! 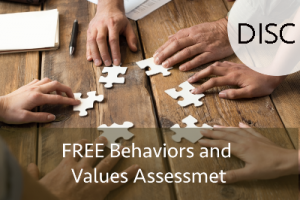 Our proven process uses industry leading assessments and tools to inform and empower an individualized process for the personal formation and development of each employee! How would you like to hire better, develop your people, increase employee engagement, reduce conflict, optimize teamwork and solve your turnover problem? See double digit improvements in employee performance in: continuous learning, resiliency, self awareness, goal achievement, self direction, teamwork, self management, personal accountability, decision making, accountability for others, results orientation and more. Dramatically Improve Profitability! In independently verified studies this process has correlated to a 43% increase in profitability. Organizational Development Consultant focusing on multiple sectors including industrial/Manufacturing and Non-Profit Industries – John brings 30 years of experience in multiple roles and industries. Touchstone Business Solutions is a business management consulting firm serving Hampton Roads Virginia including: Chesapeake, Virginia Beach, Norfolk, Portsmouth, Suffolk and Newport News. We provide executive coaching, small business coaching, enterprise development consulting, marketing consulting, turnaround consulting and more. Our Human Capital Development services include: assessments, job analysis, job design, personal formation, emotional intelligence development, 360 Analysis, improved employee engagement and much more.